Our wooden crock lids are handmade locally from Virginia Yellow Poplar wood cut and sanded smooth. These lids allow for air exchange, but they keep dust and dirt particles out. 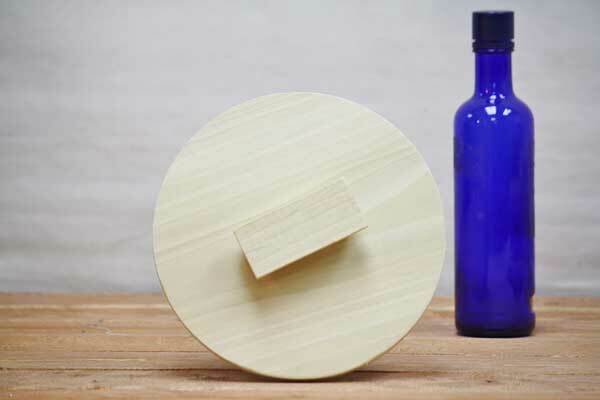 These raw wood crock lids are food-safe and can be finished with an oil or stain of our choice. 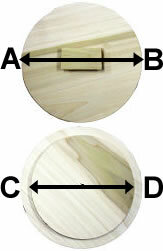 Lids may fit ceramic crocks from other manufacturers check the measurements before ordering. Since warm air encourages surface mold growth, your fermentation processes should occur in cool spaces. Because crock lids are made individually, measurements vary slightly. Your order ships same day if ordered before 2 pm EST Monday-Friday to arrive anywhere in the Contiguous United States within two to seven business days of our receiving your order. This item cannot be shipped to Canada, Alaska, Puerto Rico and Hawaii. I didn't know they made these! I love them so much these are my favorite!! !